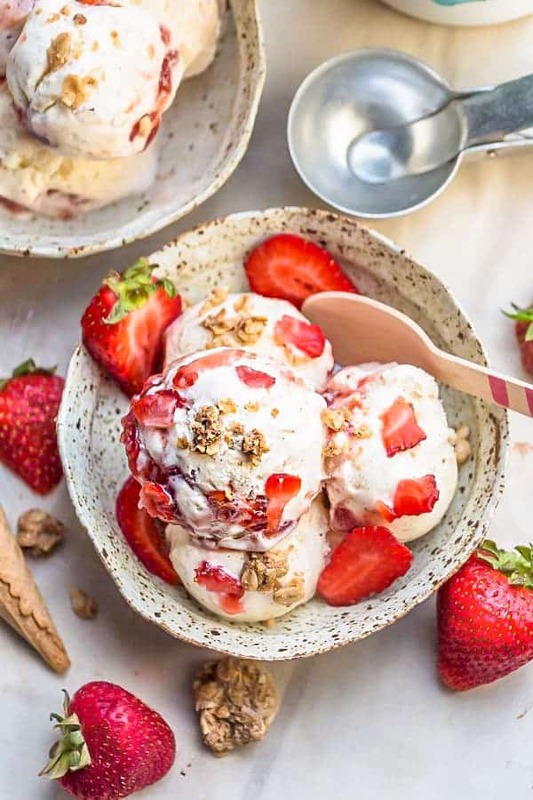 No Churn Strawberry Cheesecake Ice Cream is the perfect easy sweet treat for summer. 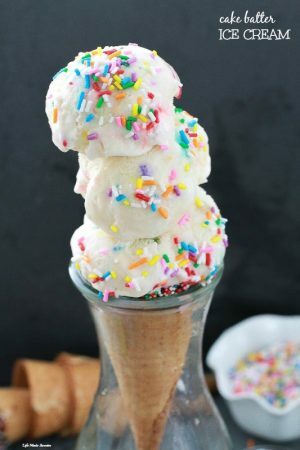 Best of all, this recipe requires no ice cream maker! 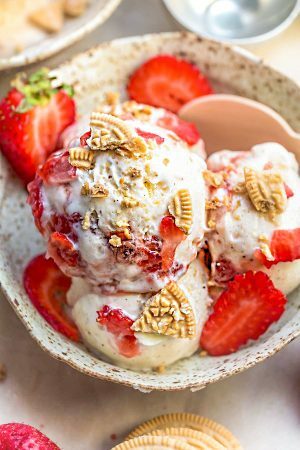 Made with fresh strawberries, cream cheese and crunchy granola streusel clusters. 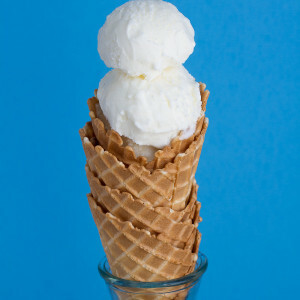 It’s National Ice Cream Day and nothing screams summer more than a big bowl of ice cream. 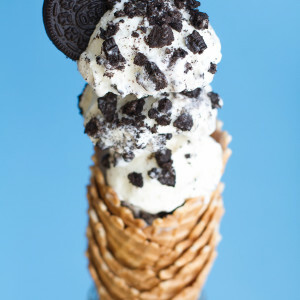 We’ve been having fun experimenting with all kinds of ice cream flavors lately. First there was chocolate, mint, cherry and Oreos. 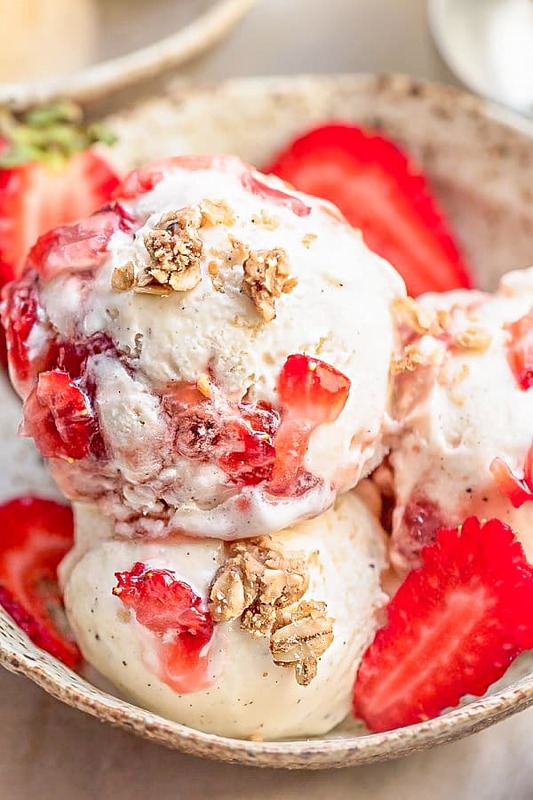 And now this No Churn Strawberry Cheesecake Ice Cream is one of our latest obsessions! 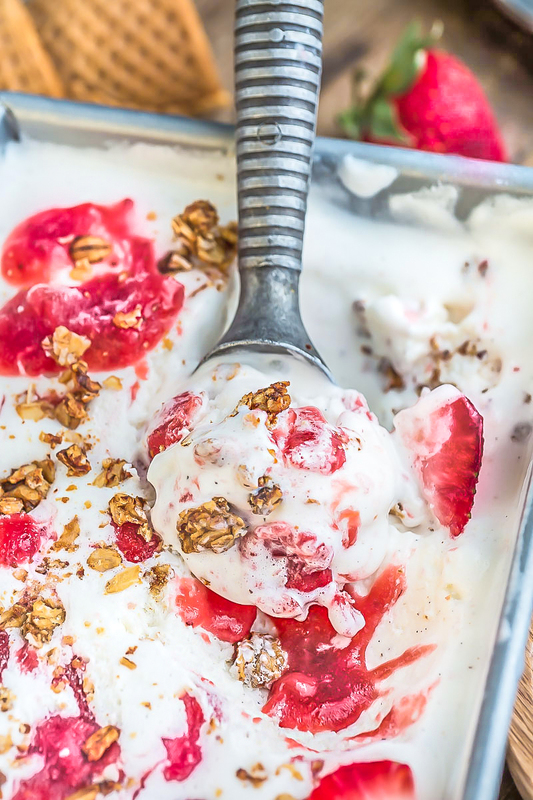 It’s so creamy and the sweet swirls of strawberries are amazing with the crunchy granola clusters. The great thing about this is that you can totally add in your favorite strawberry preserves or jam. Or instead of the granola streusel, try adding your favorite sandwich cookie. Golden Oreos or any store-bought granola works just as well! Plus, since it’s no churn, you won’t even need the stove or an ice cream maker! Seriously, the hardest part is just waiting for everything to freeze. 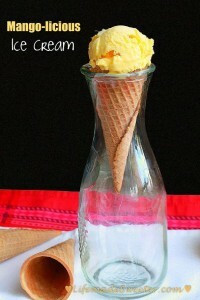 If you’ve never made no churn ice creams before, you’ve gotta try it! You’ll love that it comes out rich and creamy smooth every time. Using a stand mixer or a hand mixer with the whip attachment, beat cream cheese at medium speed until creamy and lumps are removed.Slowly add condensed milk and vanilla, and whisk mixture until smooth. 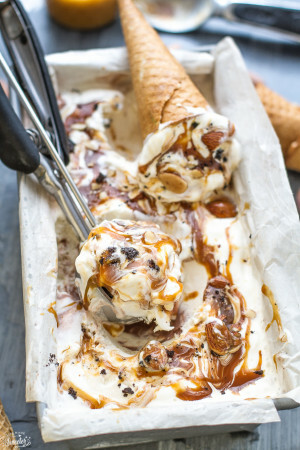 Spoon half of the ice cream mixture into a 9 x 5 loaf pan or 2 quart ice cream container. 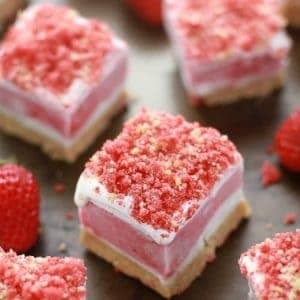 Pour half of the pureed strawberries on top and gently swirl with a knife to form ribbons. Sprinkle in half of the granola clusters. Pour in remaining half of the ice cream then top with more pureed strawberries. 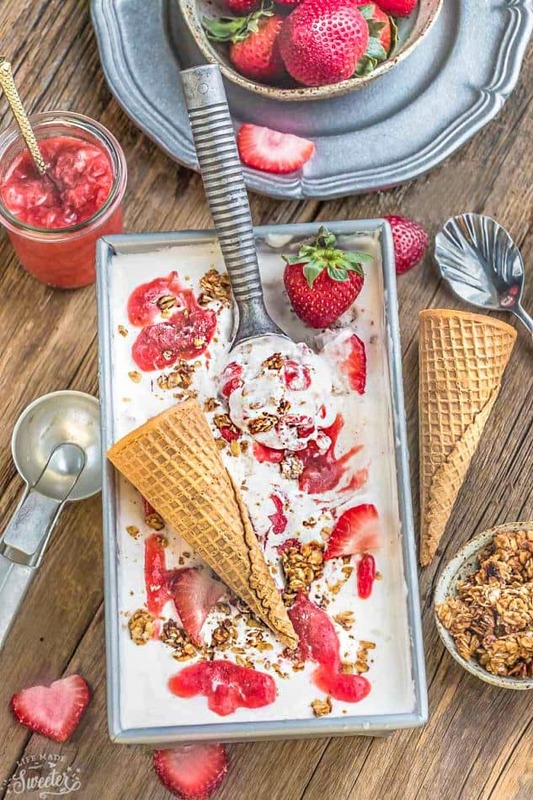 Swirl again with the knife then top with granola and reserved strawberry slices. Cover and freeze for at least 4 hours or overnight. When ready to serve, remove from freezer and allow to stand at room temperature for about 3-5 mins. to soften slightly. *If you prefer your strawberry swirl to have some chunks, blend for a few seconds less. ***You ca also substitute granola clusters with your favorite vanilla, graham cracker, cinnamon cookies, OR even baked pie crust or cooked crumble topping.